Emaze premium account – YES or NO ? You can create on Emaze as many presentations as you want for free, but you can’t use some features unless you upgrade to Emaze premium account. Are those features really necessary ? is the price worth it ? who really need them ? all the answers are here. 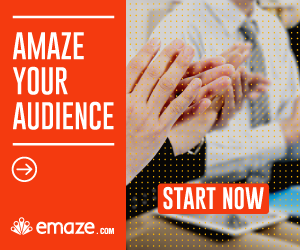 Emaze Pro– this plan dedicates for users that want to take the using of Emaze presentations to the next level. Pro users get more features like: Present offline, Download presentations, make presentations private, Collaboration and more (see below). Insight Analytics Pro- allows you to get a deep data on people who have watched your presentations. Present offline– if you are presenting presentations in front of people – this feature is crucial for you. You don’t want to be depended on internet connection when you are presenting your big idea to investors or clients. that‘s why you must upgrade your Emaze account and have the ability to present your presentations offline. Make presentations privet– each presentation you create on Emaze free account is public and everyone can copy it. If you want to create a presentation that only certain people will be exposed to it, you need to upgrade your account in order to make your presentation privet. Download presentations– you can download your presentation in PDF or video format, that’s how you can let people consume your presentation content in other ways and platforms. Collaboration– if you want that other people will work together with you on presentations even simultaneity, you must upgrade to Emaze pro or business. Emaze pricing – How much each plan costs? Emaze pro costs $9 per month (billed annually) but you can get here 30% off for 1 year. Emaze business costs $19 per month (billed annually). As a reader of Emaze review & tutorial website, you are entitled to receive 30% off for 1 year. All you need to do is to click here and purchase (no coupon code is required).